Celebrity jackets have something cool and classic. 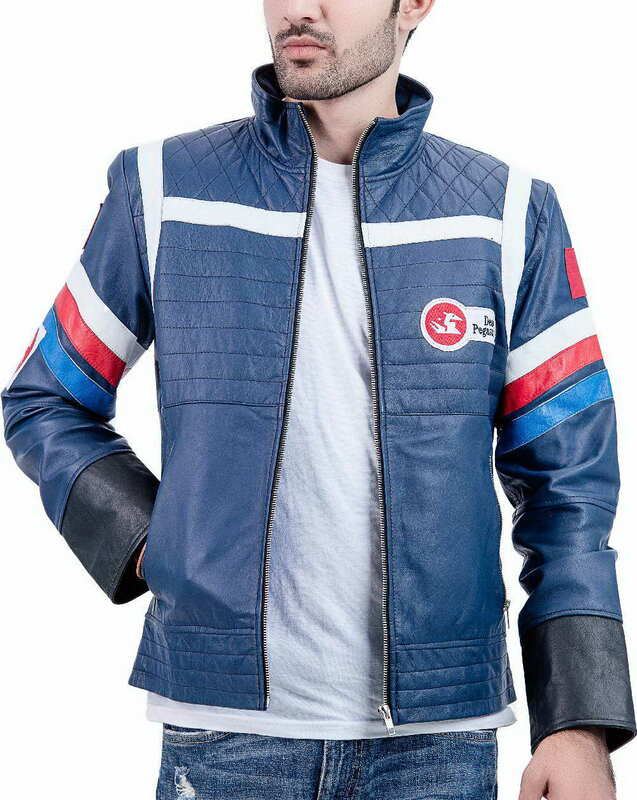 This Party Poison jacket has all the pop ingredient of an American rock band My Chemical Romance. Along with the tremendous music tracks these guys are ready to share their awesomeness by wearing a unique leather jacket on their concerts and music videos. 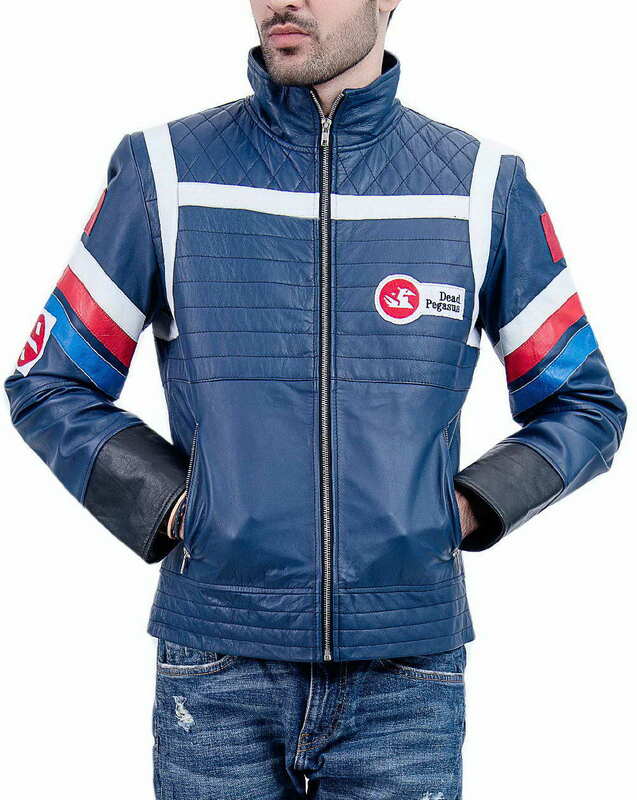 This MCR jacket is famous because of the stylish Gerard Way who wore this rock style jacket in the song Party Poison. My chemical Romance costumes are always appreciated and adopted by the music lovers around the world. 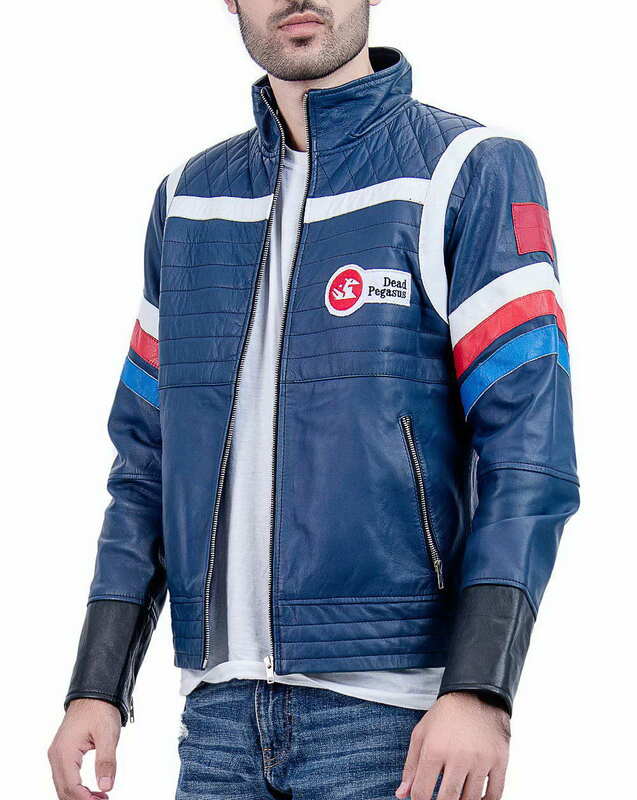 Party Poison leather jacket is kind of biker jacket because of its racing appearance in all blue color with white red stripes around shoulders. 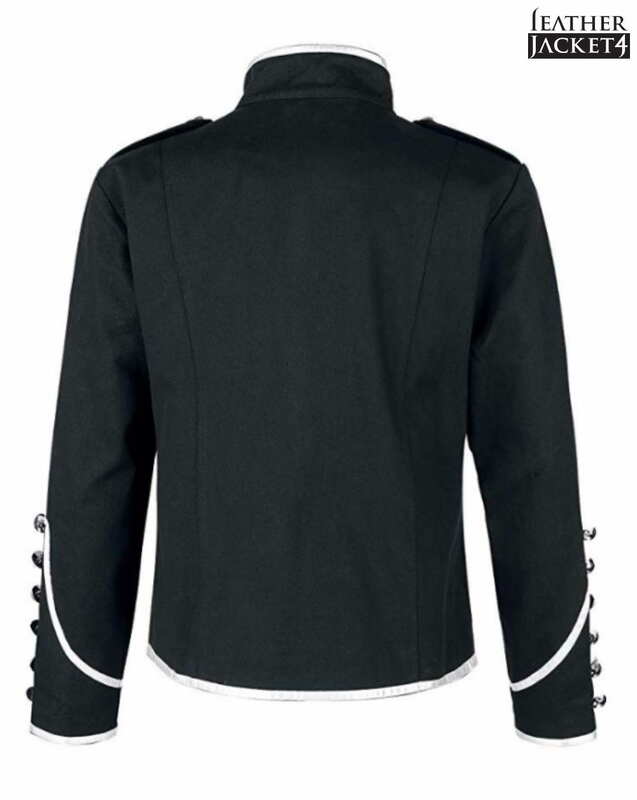 This Gerard Way jacket has given beautiful Diamond quilting on the upper chest and padding lines over the chest and down to hem. 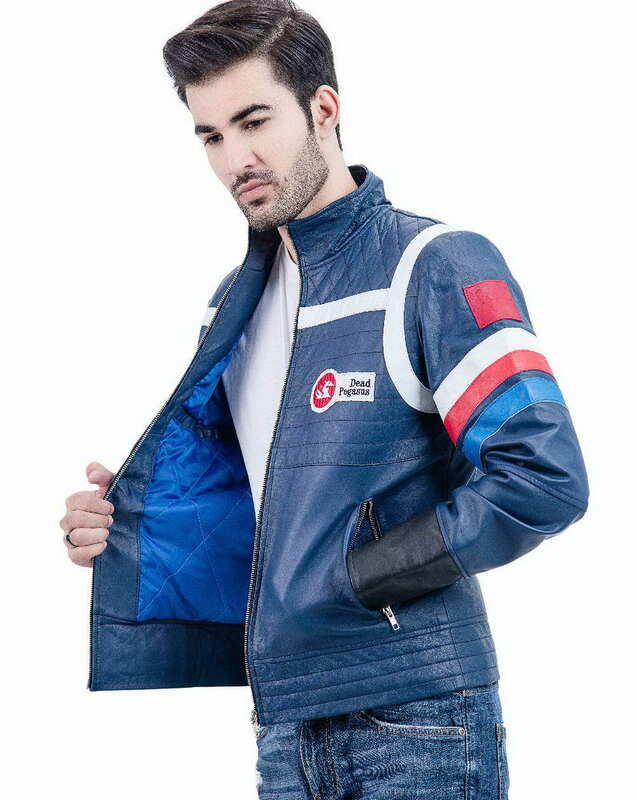 It is the first copy of Party Poison Jacket made by real leather for lasting endurance. 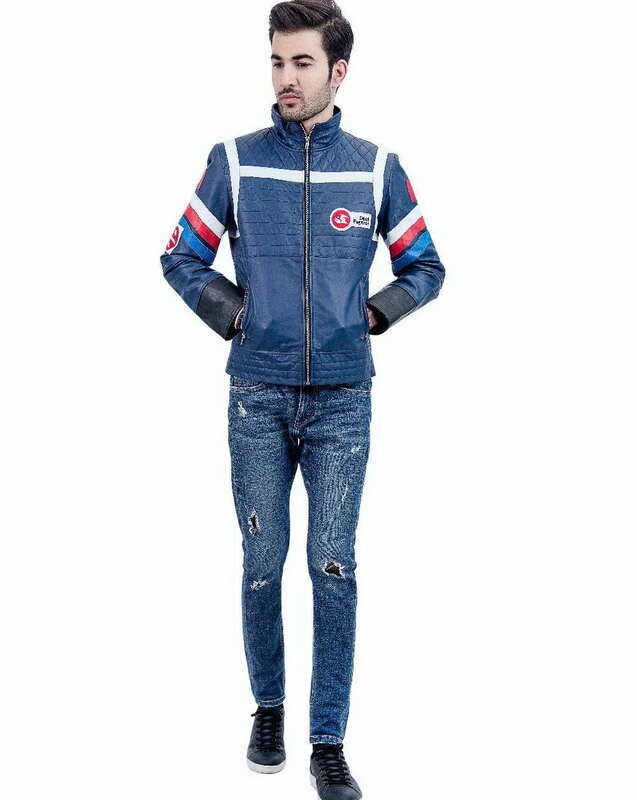 Having mid-length sleeves with two side zipper pockets for warming your hands. 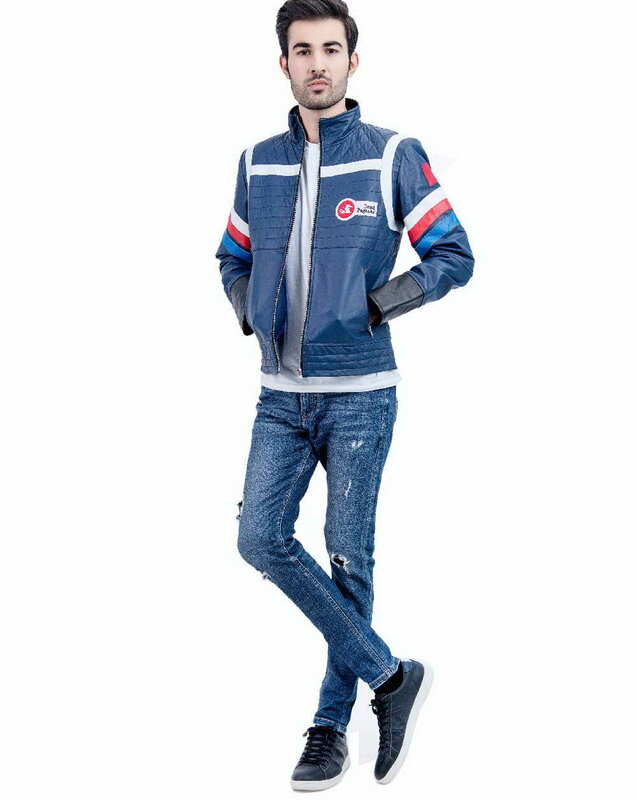 A fit to body shape biker jacket style included top-notch YKK zipper goes all up to the stand-up collars. Great stitching details with the logo of Dead Pegasus on right arm and chest looks spectacular. 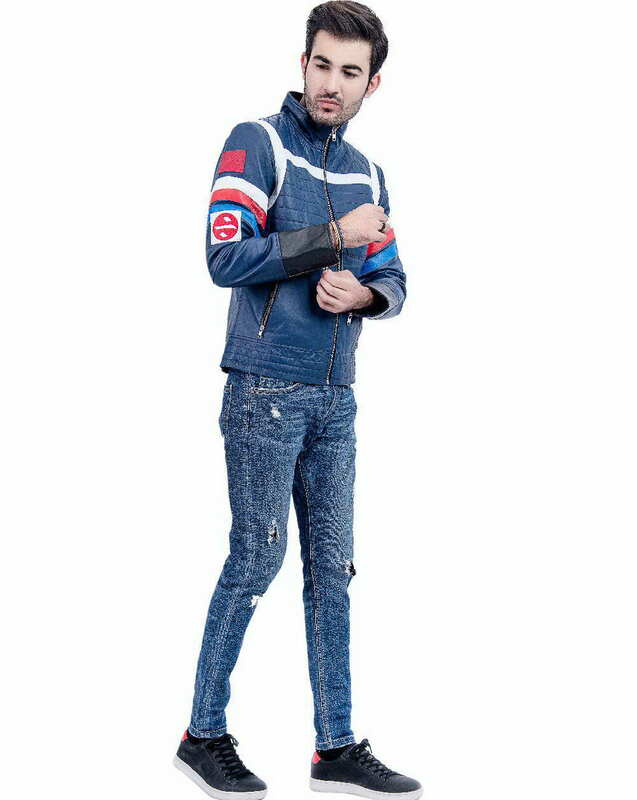 This blue jacket is pretty appropriate for casual hangouts, clubs and parties.